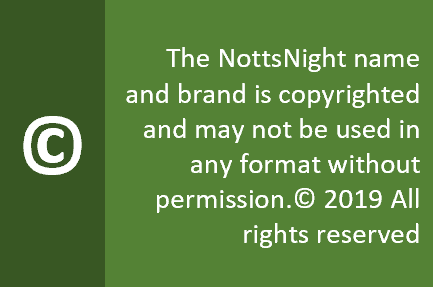 This area contains some of the oldest recorded parts of Nottingham dating back to medieval times. 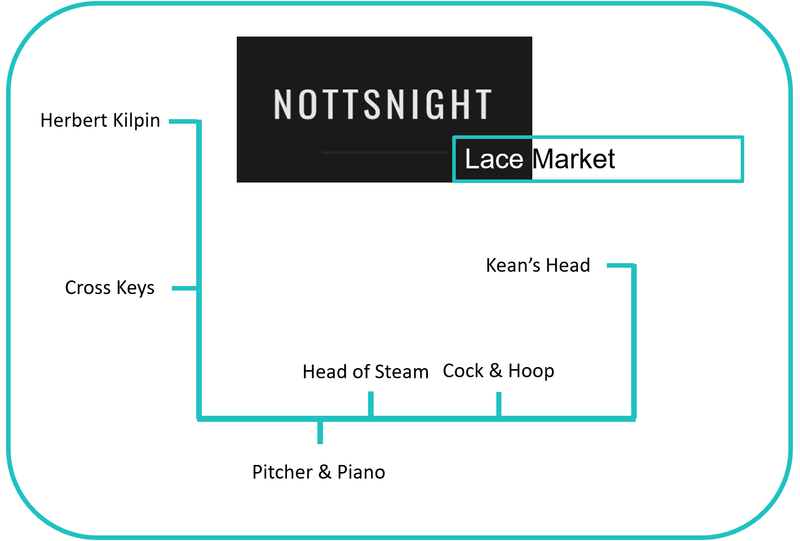 With such a large selection of pubs spread out, NottsNight has conveniently divided it into two walkable districts. The Lace Market borders the city centre and contains a rich mix of bars serving real ale and craft beers. You can sup a pint in a no nonsense traditional pub, sit on a summer terrace with a view of the city’s changing skyline or try one of the bright young newcomers in the district. 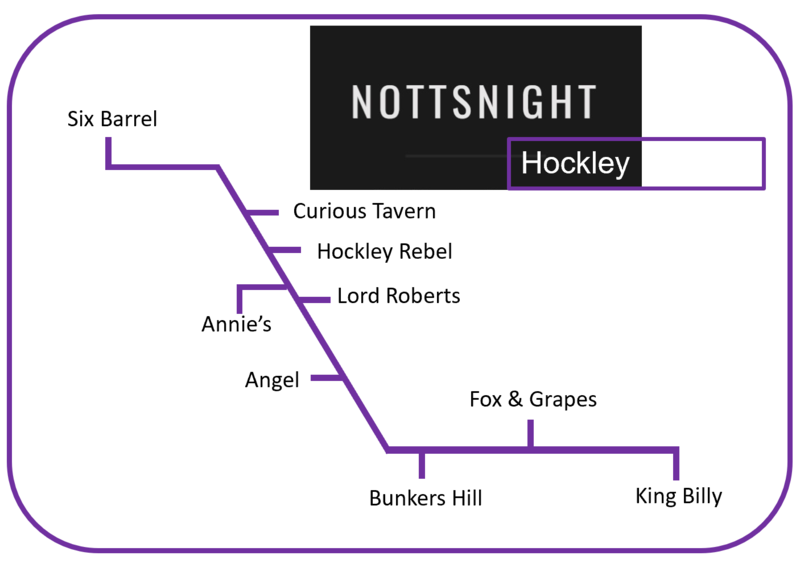 Venture a little further East and you’ll find Hockley, a vibrant party hub at weekends. You can avoid the worst of the crowds with our hand picked bars. At the bottom of Hockley is Sneinton Market, the home of good old fashioned boozers oozing history and character. This is a place to meet the locals.